The first strike took place around 12:29 p.m. on Flight 19 from Sacramento to Honolulu. The next lightning strike happened at 4:10 p.m. on Flight 1121 from Hilo to Honolulu. The third lightning strike happened at around 5 p.m. on Flight 278 from Honolulu to Kona. 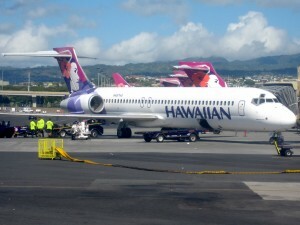 The final lightning strike occurred at around 5:50 p.m. on Flight 236 from Honolulu to Kahului. Two of the aircraft were removed from service for repairs.